Have you tried every fitness class out there? 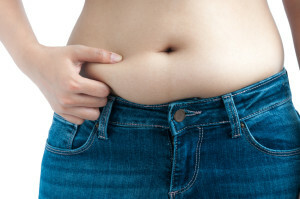 Are diets becoming tedious and not shifting those love handles? Sometimes, those stubborn areas need a little extra help to make you feel like yourself again and restore lost confidence. This ultrasound technology is becoming increasingly more popular for patients wanting a less invasive fat removal treatment. In and out of the clinic within two – three hours with minimal down time. Typically treating areas such as chin, bingo wings, love handles, male breasts, legs, knees, ankles, stomach and buttocks- to name a few! Vaser lipo is performed under local anaesthetic, this means less down time and faster results. Patients are totally awake throughout the procedure. Referred to by other clinics as ‘Lunch time lipo’. This is not something to be taken likely as there are still risks involved just like any procedure. It is also cheaper than traditional liposuction and back to normal activities in few days post -surgery. Sounds fantastic to us, what’s next? Always do your research when it comes to plastic surgery procedures. Are they a qualified and experienced surgeon in their field of expertise? Are they reputable and show honest results of their consenting patients pictures? Are they CQC registered? https://www.cqc.org.uk/location/1-123558251. Have a consultation with the team doing the procedure to find out if you are a good candidate and discuss concerns, pricing, and not forgetting the exciting results you can achieve. Ask to see before and after photos. Also ensure you are provided with several follow up post treatment reviews with the clinicians. Vaser liposuction has helped so many of our patients, whether it’s to improve their confidence or achieve their preferred bikini or male body shape. See what just some of our patients had to say after their treatments below. Cherice from Bolton wrote “Very pleased with treatment throughout the process. Staff made me feel very comfortable and provided me with excellent care”.